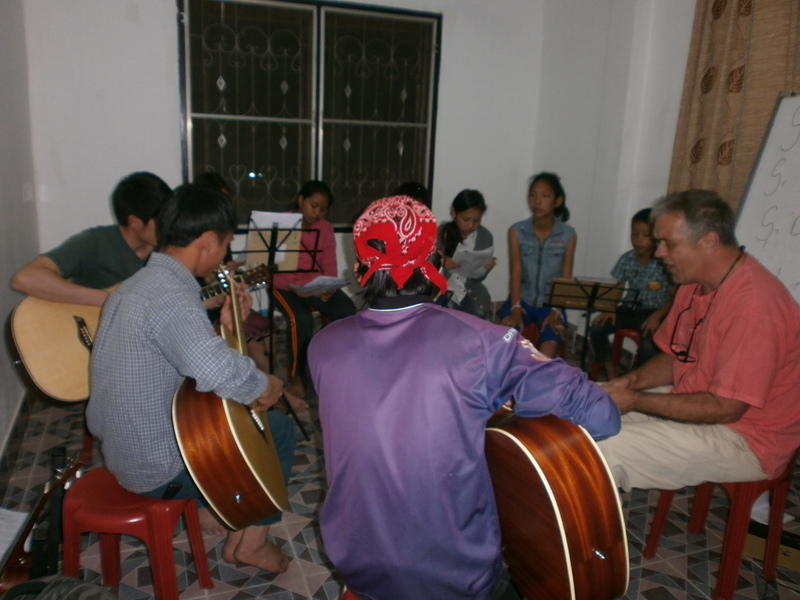 Mr. Jan, a MES guitar student has kindly offered singing lessons to MES students, and assisted playing guitar by Mr. Bounmee. 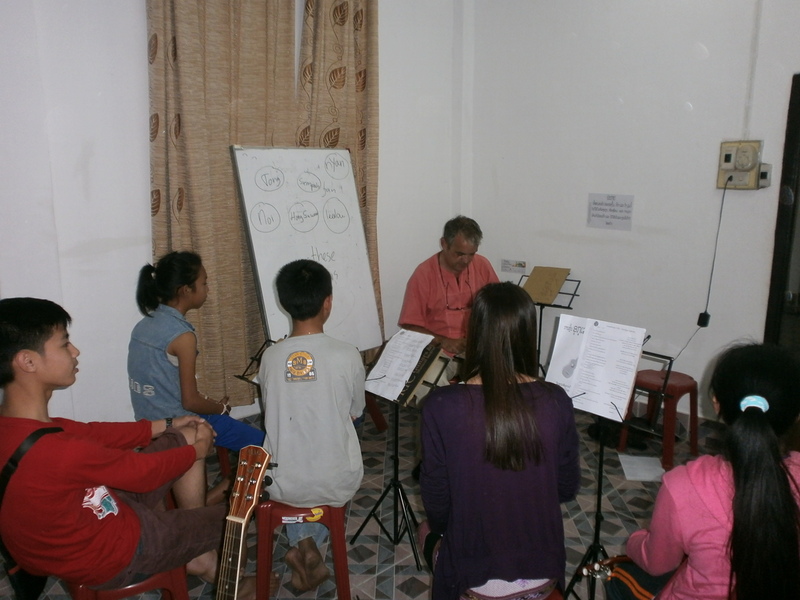 He teaches two classes, one in the afternoon 12:00-01:00 pm and in the evening 06:30-07:30pm from Monday to Friday. 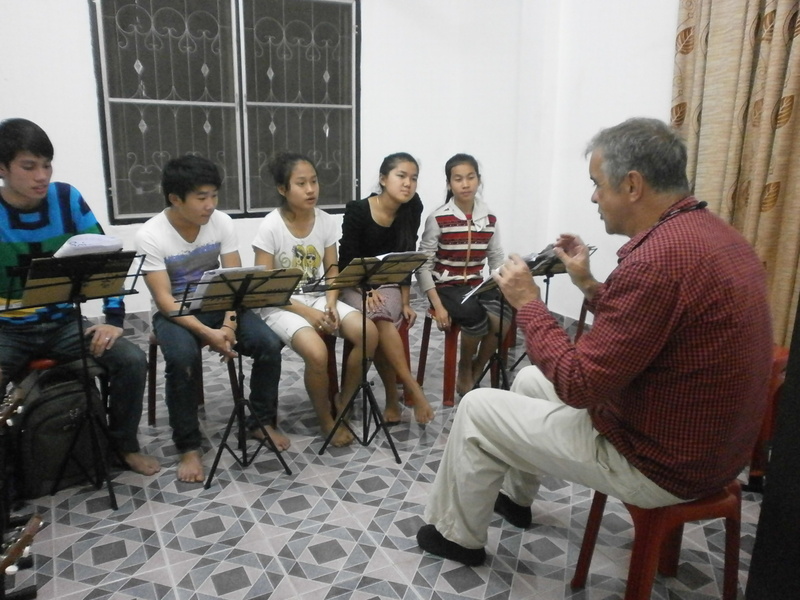 He provided the most famous and European style music. 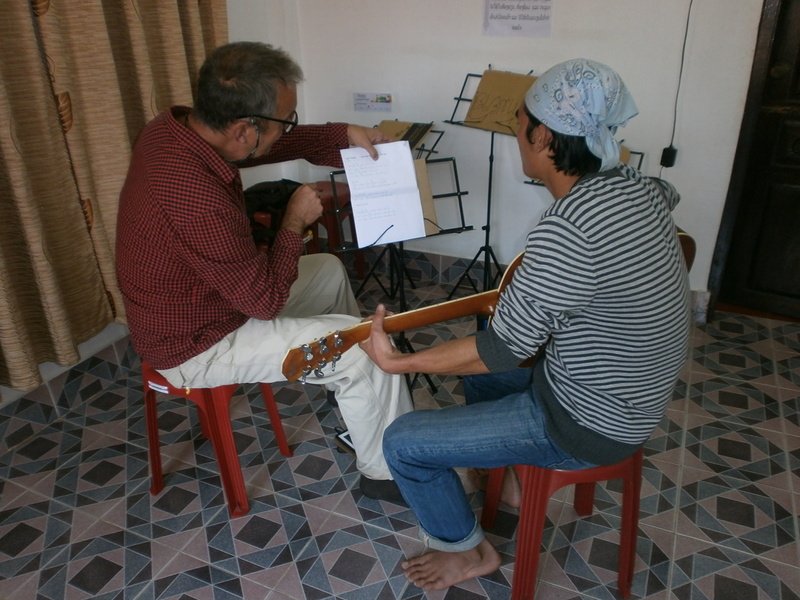 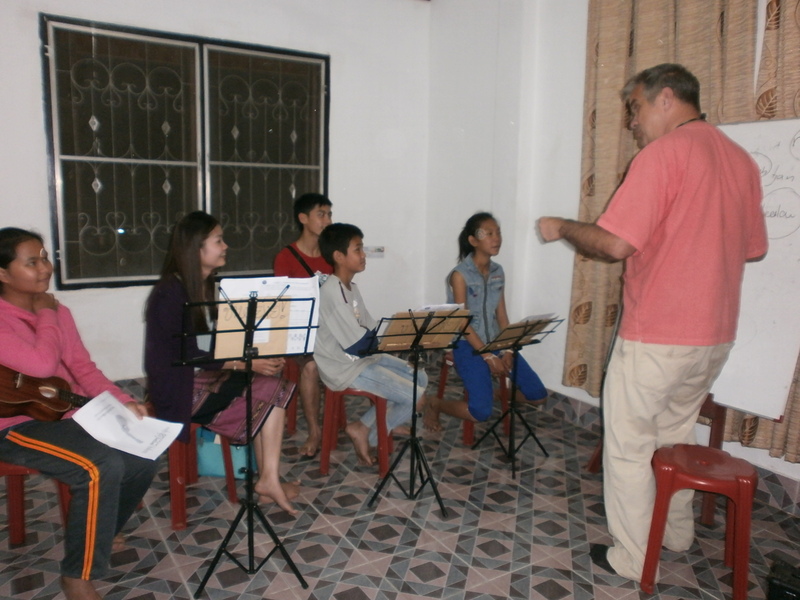 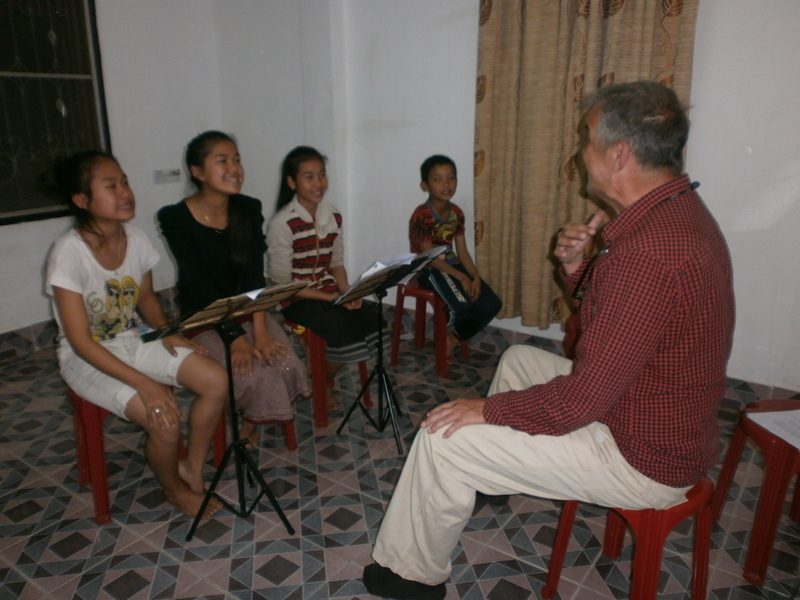 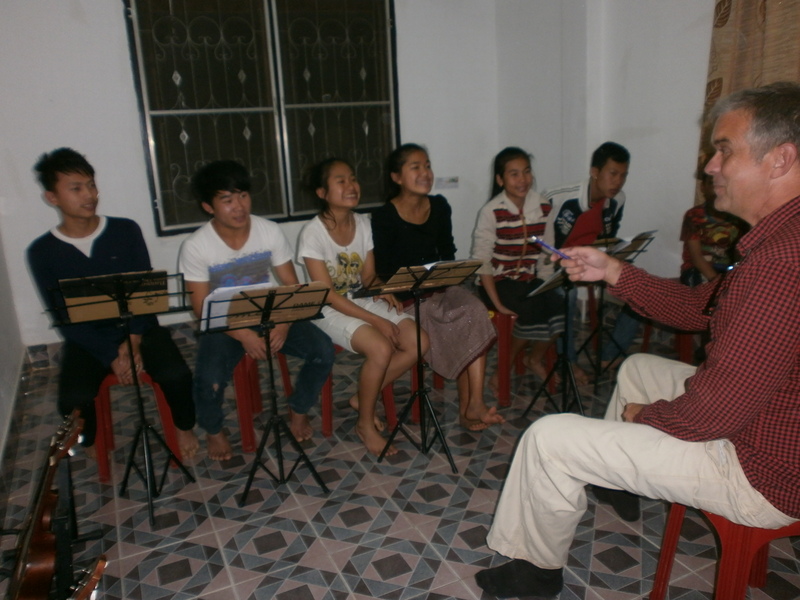 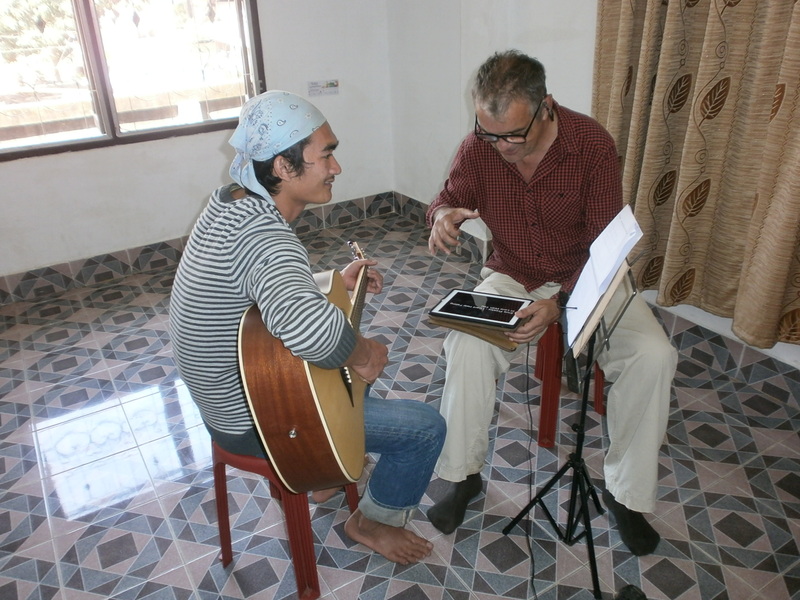 The first classes were started last Wednesday and they were going well, all the students were happy to learn singing. 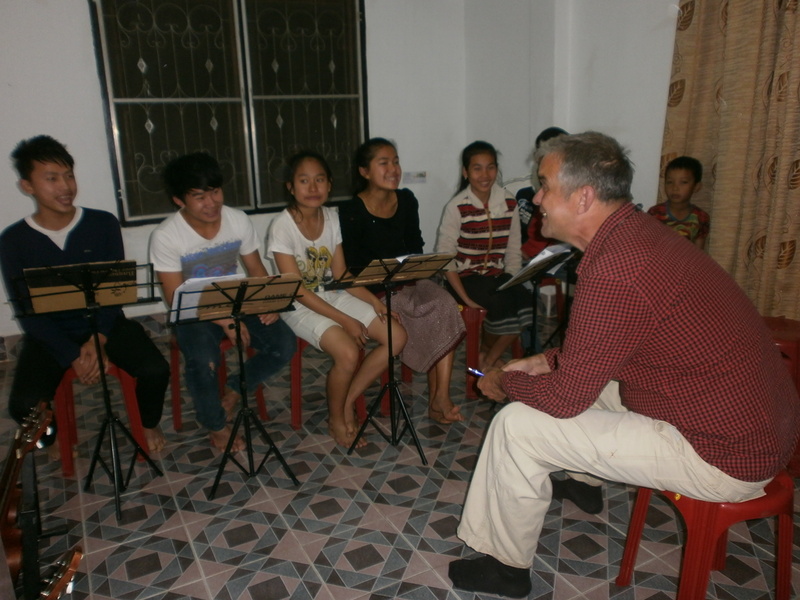 MES is very lucky to have such a nice and kind person like him so we are deeply grateful.